(W) Dan Slott (A) Giuseppe Camuncoli, Javi Garron (CA) Alex Ross. Going global means a world of problems for the wall-crawler! First, theres an accident to deal with at Parker Industries. How far will Peter Parker go to save his employees both as CEO and as Spider-Man? Meanwhile, stand-in Spidey the Prowler meets the shocking, all-new Electro! Then, the moment youve been waiting for: Doctor Octopus has been trapped in the Living Brains body for too long now its time for him to act! And when someone in Peters orbit dies, he must once again choose between his personal life and the responsibility of being Spider-Man and that choice wont go well for him! 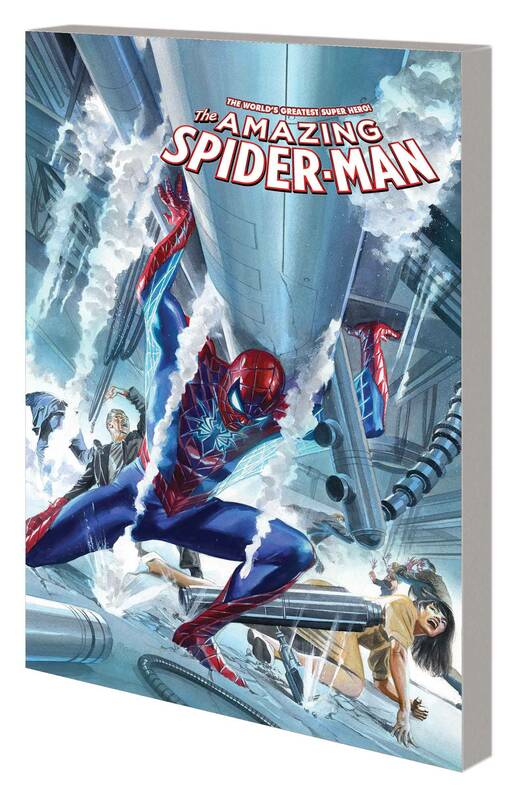 Plus: both sides of a special tale setting the scene for the sensational Spider-Event Dead No More! Collecting AMAZING SPIDER-MAN (2015) #16-19 and material from FREE COMIC BOOK DAY 2016 (CAPTAIN AMERICA) #1. Rated T.